Diplomatic and security sources say Beijing and Tokyo are preparing for a possible realignment of U.S. troops in South Korea and a reduced U.S. military presence on the peninsula. In 2018, Chinese military aircraft violated the Korean Air Defense Identification Zone (KADIZ) eight times. For instance, a Chinese military aircraft entered the KADIZ at around 10:21 a.m. on Dec. 27 from an area near Jeju Island and Ieo Island and exited half an hour later, according to the Joint Chiefs of Staff (JCS). An aircraft again crossed into the KADIZ at around 11:54 a.m. and flew out of the zone at around 12:51 p.m., the JCS said, adding that the aircraft made another entry at 2:14 p.m. before leaving at around 3 p.m.
A JCS official said the aircraft was believed to be a Y-9 type reconnaissance plane. The KADIZ extends beyond South Korea' territory to give the country more time to respond to hostile acts near its airspace. A section of the KADIZ overlaps the air defense zones designated by China and Japan, a source of potential tension among the regional powers. South Korean military officials said China's move was aimed at testing responses from Seoul and Tokyo. Japan had a dispute with South Korea over a recent military radar "lock-on" incident. Despite Seoul's denial, Tokyo claimed that South Korea's 3,200-ton Gwanggaeto the Great destroyer locked its fire-control tracking radar on a Japan Maritime Self-Defense Force P-1 patrol plane multiple times on Dec. 20. 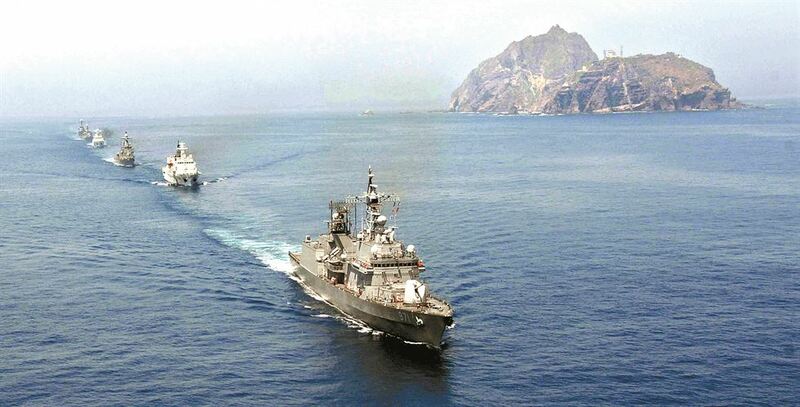 Seoul argued that the ship was on a humanitarian mission to rescue a North Korean boat drifting in the international waters in the East Sea and that it used only ship-to-ship radar for the rescue operation and did not do anything to threaten the Japanese plane. Diplomatic sources said the row was a game of who is telling the truth, with the neighboring countries exchanging blunt accusations. The sources pointed out that although Seoul and Tokyo had a military information-sharing agreement, signed in November 2016, the two sides have refused to reveal some related secrets that would help reveal the facts surrounding the incident. The mistrust between Seoul and Tokyo mainly stems from a row over historical issues, highlighted again by disputes over back-to-back Seoul court rulings last year against Japanese firms that forced South Koreans into hard labor during the World War II and Seoul's decision to dissolve a Tokyo-funded foundation for sexual slavery victims. In this climate, some South Korean security sources speculated that both China and Japan may have provoked a military dispute intentionally to see the South's response. "China and Japan certainly will want to be key players on the peninsula if the U.S. reduces its troops in the South and its military presence shrinks," a source said. 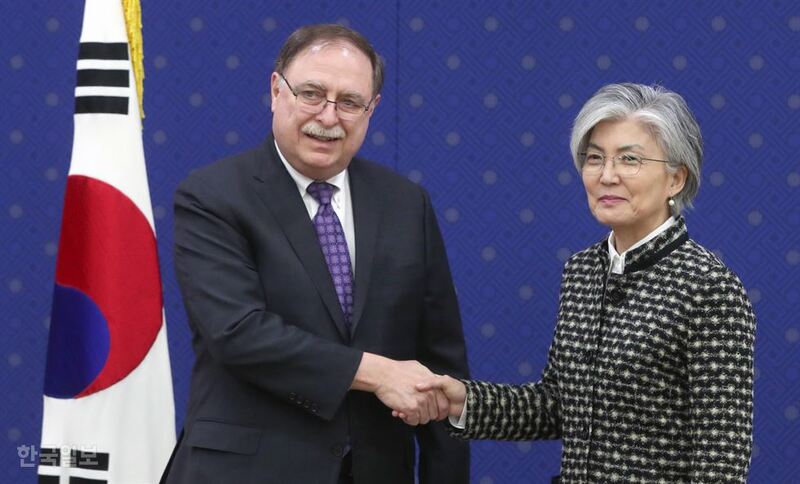 The U.S., although it has underscored a trilateral alliance with South Korea and Japan, declined to act as a mediator in the radar "lock-on" incident. On Feb. 10, South Korea signed a deal with the U.S. to raise its contribution for the upkeep of American troops here by 8.2 percent this year to 1.04 trillion won ($924 million). The deal was named "preliminary signing" because it requires parliamentary ratification in South Korea. The U.S. government does not need congressional approval. South Korea last year provided about $830 million, covering roughly 40 percent of the cost of the deployment of 28,500 U.S. soldiers whose presence is meant to deter aggression from North Korea. U.S. President Donald Trump has been dissatisfied with South Korea's "free ride" on security. Although he has not said he will pull out U.S. Forces Korea out of the South, his unconventional security policy has raised a question over which countries might take advantage of a U.S. military presence. Citing minor opposition Justice Party lawmaker Kim Jong-dae, the Washington Post reported that many South Koreans were pleasantly surprised by Trump's sincere attempt to make peace on the Peninsula but were perplexed by his "cold-hearted deal making" over the troop-cost issue. Chun Yung-woo, a former national security adviser, said North Korean leader Kim Jong-un may be pleased about a possible reduction in U.S. forces. "The withdrawal of U.S. troops is the most important card to play in getting North Korea to denuclearize," Chun told the Washington Post. "What I am most concerned about is that Trump will waste the card without using it. "If he decides to withdraw troops out of exasperation without thinking of how to link to denuclearization negotiations, this becomes a dead card."